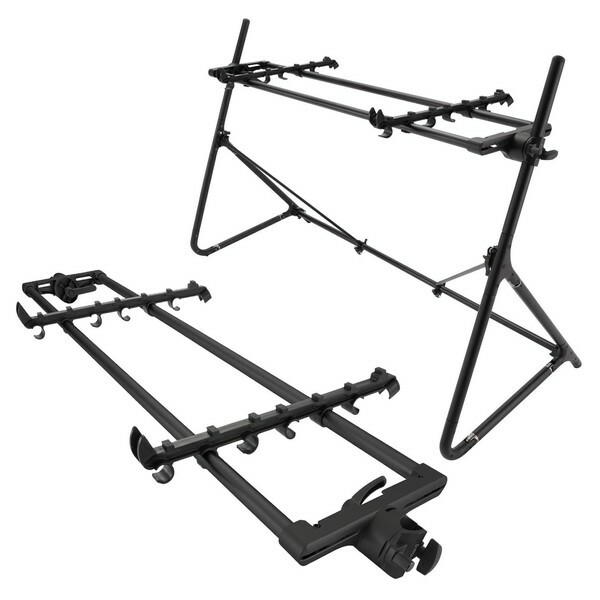 The Sequenz Standard Double Tier Large Stand, Black is a bundle comprised of a STD-L-ABK 88-Note Keyboard Stand and a STA-L-B Tier Adapter, combining to create a large double tier keyboard stand. The stand is created from lightweight aluminium piping, with a sleek black finish. The Double Tier Keyboard Stand features adjustable height, depth and angle so you can find the perfect playing position every time. It is designed to accommodate 88-note keyboards, but the included keyboard holders allow you to cater to other equipment such as controllers, synths and compact mixer. This special bundle compiled by Gear4music includes the STD-L-ABK 88-Note Keyboard Stand and the SA-L-B Second Tier Adapter. Combining the two products together gives you a robust and adjustable two-tier keyboard stand which can accommodate two 88-note keyboards in one convenient package. The bundle comes complete with keyboard holders so you can also accommodate a range of other equipment including synths, controllers, modules and smaller mixers. The STD-L-ABK from Sequenz is a highly robust keyboard stand, boasting a lightweight and portable design. The robust stand is ideal for a range of applications, from practising at home to playing live. It is designed to primarily accommodate 88-note keyboards but can be used to stablise a wide range of equipment including synth, controllers, modules and more. The versatile design allows you to adjust the angle, depth and height of the stand to your requirements. This provides added comfort, and minimises playing fatigue, allowing you to find the perfect playing position. The sturdy and stylish design is constructed from aluminium piping with a sleek black finish. 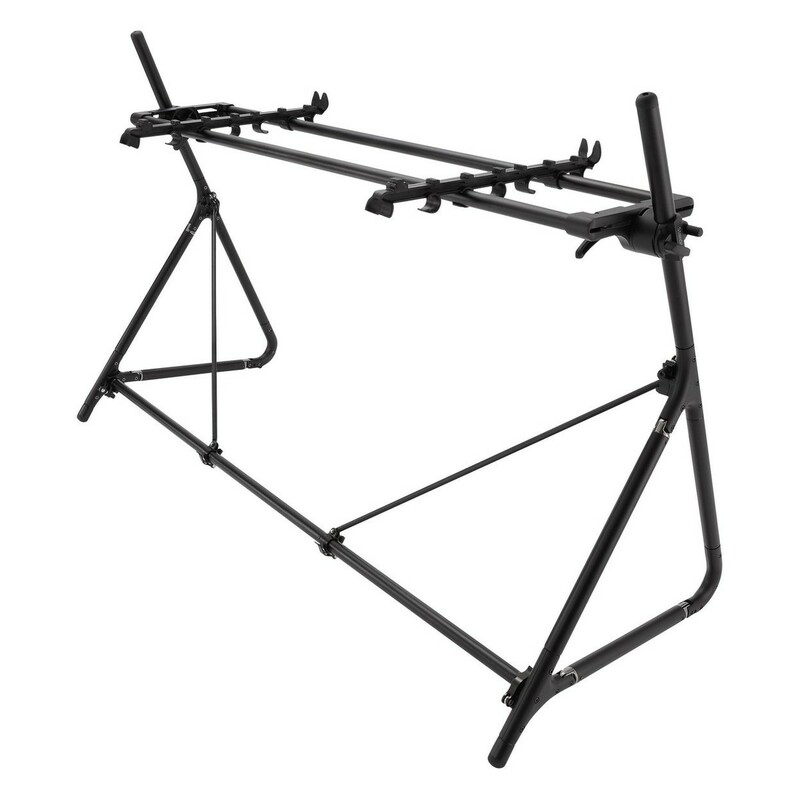 The aluminium construction makes the stand highly lightweight and easy to move around. 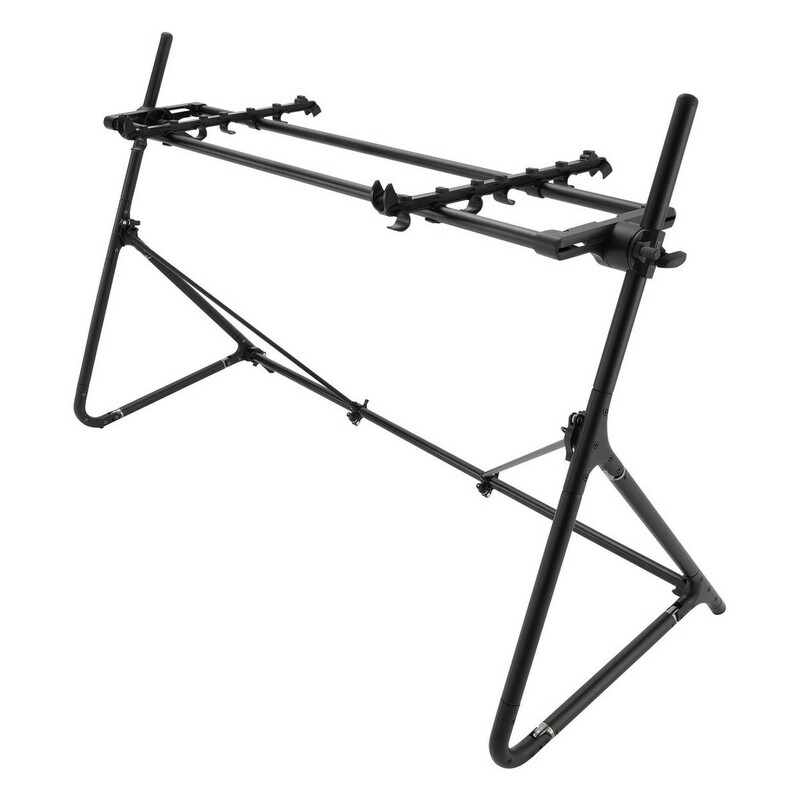 It is also easy to disassemble, allowing you to fold away the stand with ease when on the road. The portable design makes it ideal for travelling musician, as well as being suitable for the studio. The flexible design can also be expanded with a second tier, by using the various keyboard tier adapters from Sequenz. The Sequenz STA-L-B Tier Adapter, Black is a robust and sturdy adapter, designed for use with the Sequenz L-ABK keyboard stand. 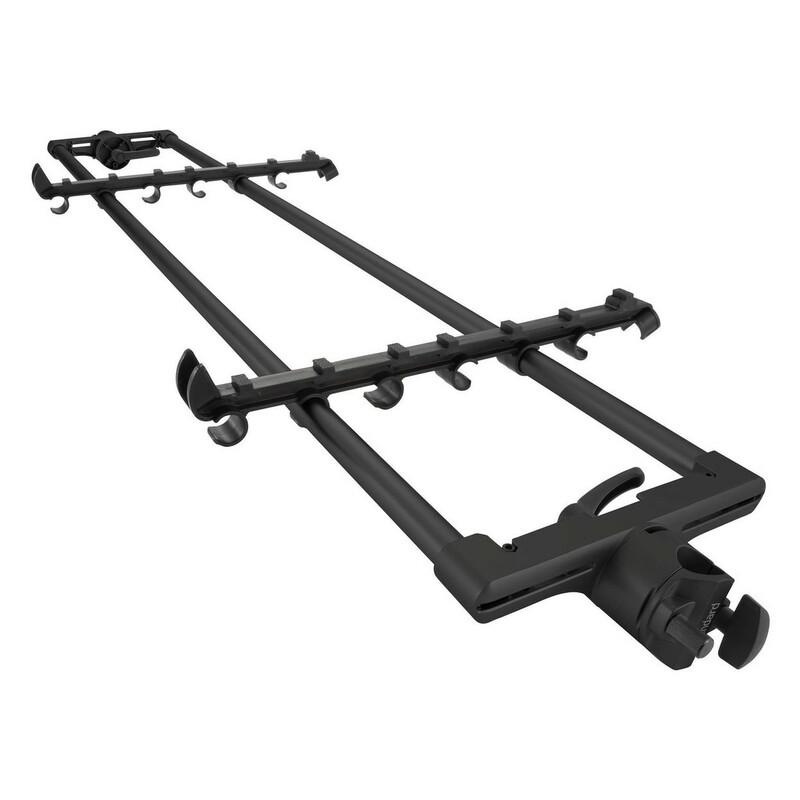 The STA-L-B is designed to provide an added tier for your keyboard stand, allowing you to accommodate another keyboard or similar sized equipment. The robust metal frame helps to ensure the keyboard stays in place while playing. Additionally, the tier adapter comes complete with two keyboard holders. The keyboard holders are ideal for accommodating a wide range of equipment such as a synthesizer, notebook computer, compact mixer and more. Dimensions: 1,600 (W) mm x 600 (D) mm x 950 (H) mm / 63"x 24"x 37"
Maximum Keyboard Width: 1,480 mm / 58"
Weight: 6.6 kg / 14.6 lbs. Range Of Height Adjustment: 650-950 mm / 26"-37"
Maximum Load Capacity: 30 kg / 66 lbs. per tier or 60 kg total / 132 lbs. Weight:2.5 kg / 5.5 lbs.